Our colleagues at Andover Norton, a stone’s throw from us up the road in Andover have recently put a pair of Commando’s fitted with Amal Premier carbureters on a dyno. The graphs are showing very good results with the carbs fitted as they came out of the box. 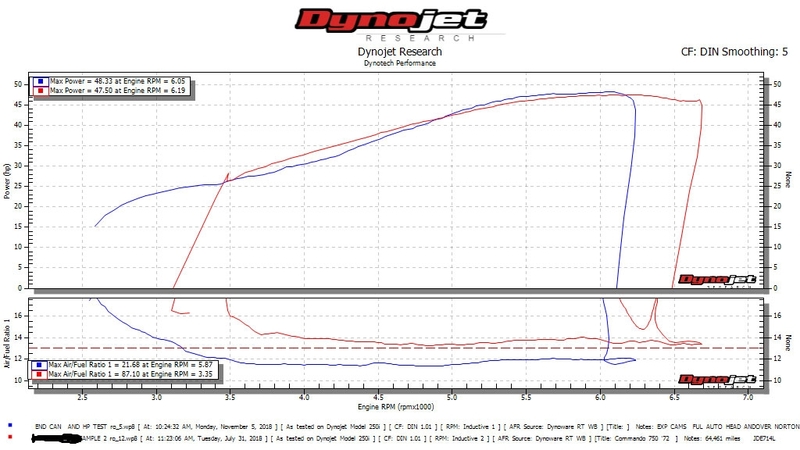 They show a very consistent air/fuel ratio from where the data starts all the way up to maximum revs, this is really good to see and shows the consistency of our product. Both bikes were using standard exhaust and silencers.